The vector stencils library "Marketing pictograms" contains pictogram set of 34 flaticons. 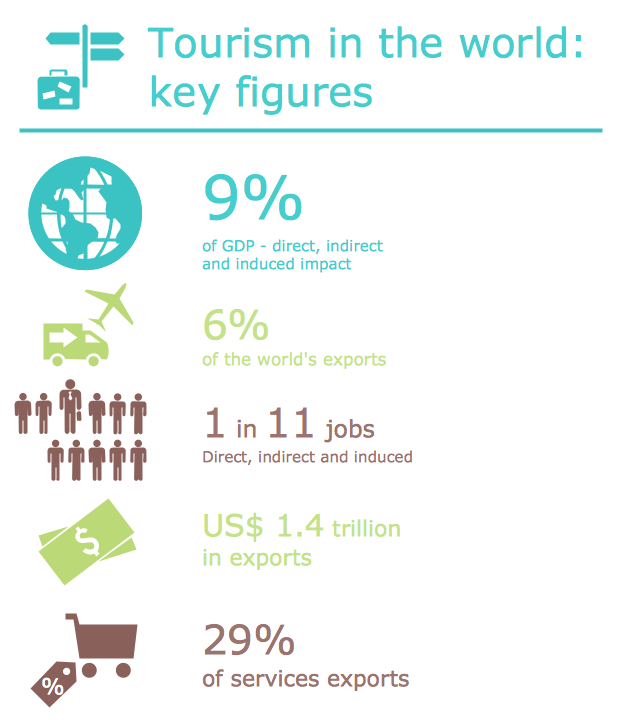 Use these flat icons to design your marketing infograms. The vector stencils library "IVR Internet" contains 36 interactive voice response (IVR) Internet and web pictograms. 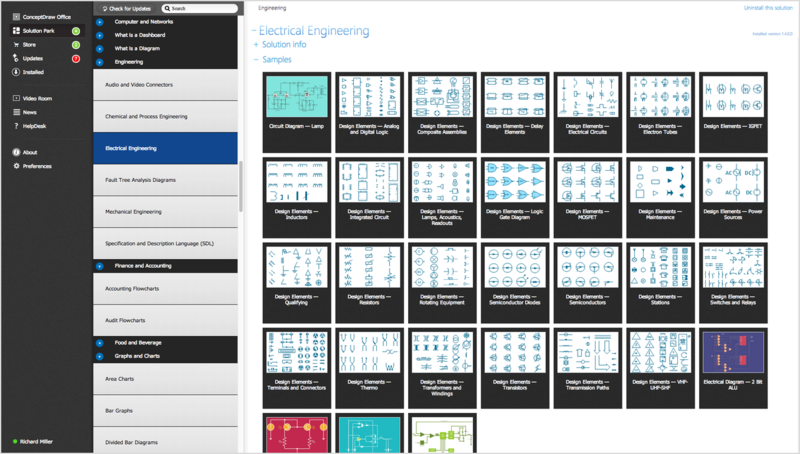 Use it to design your IVR diagrams with ConceptDraw PRO diagramming and vector drawing software. 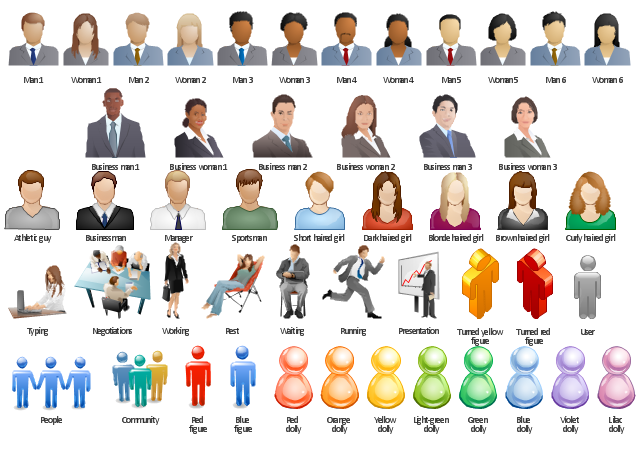 The vector clip art library People contains 49 images and pictograms of men and women you can use to draw your illustrations using the ConceptDraw PRO diagramming and vector drawing software. "A pictogram, also called a pictogramme, pictograph, or simply picto, and also an 'icon', is an ideogram that conveys its meaning through its pictorial resemblance to a physical object. Pictographs are often used in writing and graphic systems in which the characters are to a considerable extent pictorial in appearance. 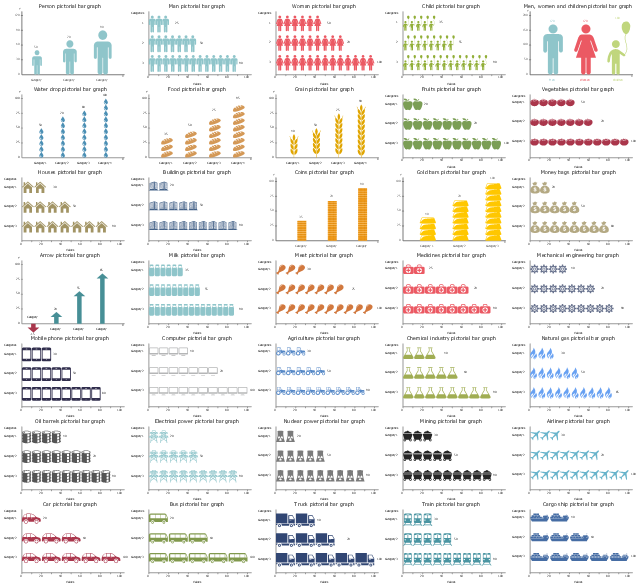 The vector stencils library "Picture bar graphs" contains 35 templates of pictorial charts. Use it for visualization of data comparison and time series with ConceptDraw PRO diagramming and vector drawing software. 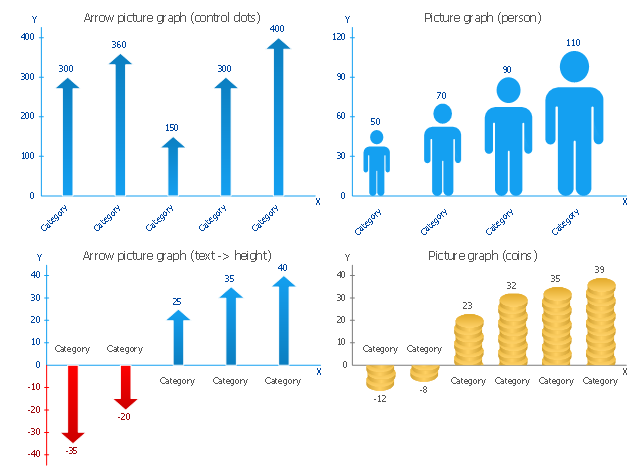 The vector stencils library "Picture Graphs" contains 4 image chart templates. 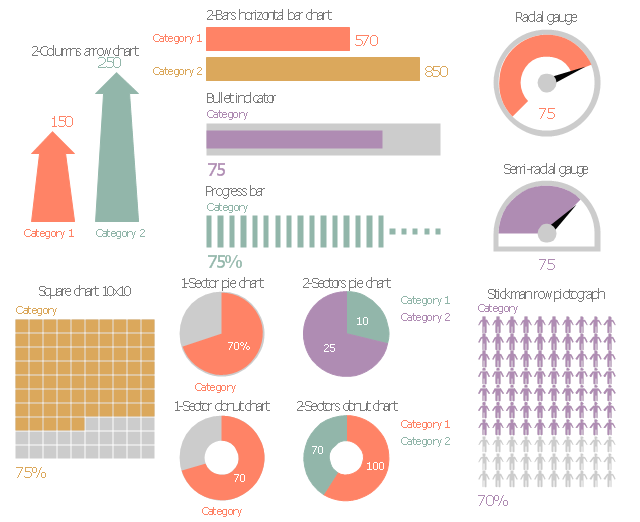 Use it to design your pictorial bar charts in ConceptDraw PRO diagramming and vector drawing software. The vector stencils library "Management indicators" contains 14 graphic indicators: horizontal bar chart, pie chart, arrow chart, donut chart, square chart, stickman row pictograph, progress bar, bullet indicator, radial gauge, semi-radial gauge. 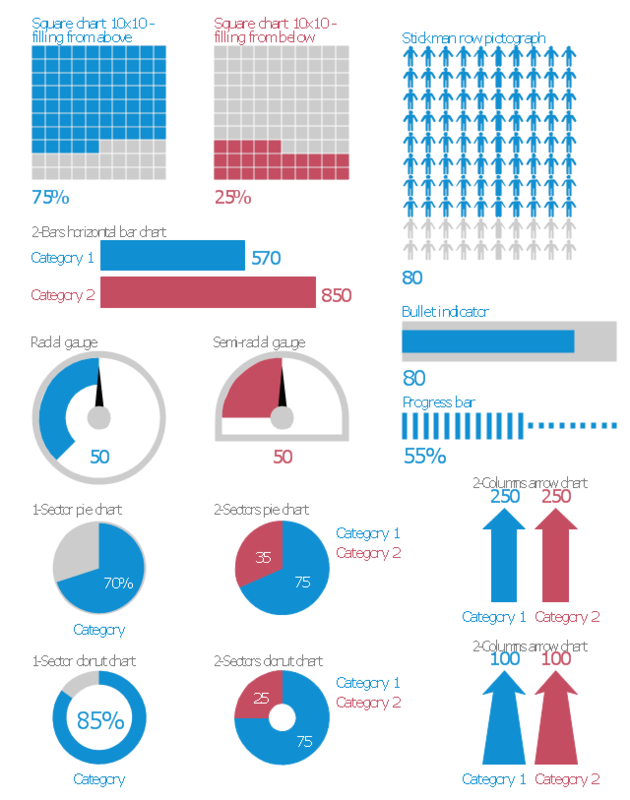 Use these visual indicators to design your management infograms.